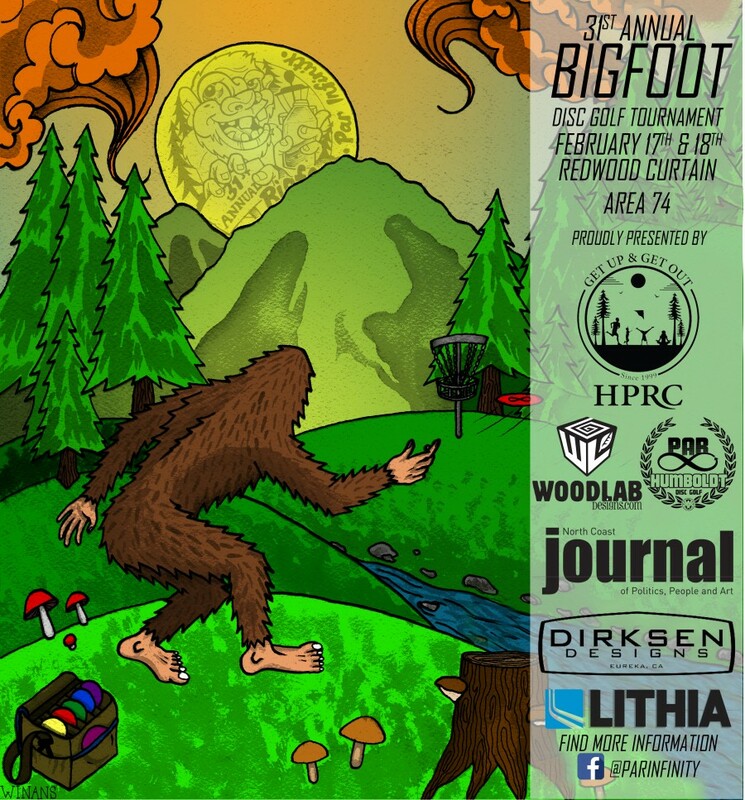 Par Infinity presents the 31st annual Bigfoot Disc Golf Tournament! This will be a 2 day, 3 round tournament on TWO beautiful courses in the heart of the redwoods of Humboldt County. Players will play at both the Redwood Curtain DGC in Arcata and Area 74, a private course in Fieldbrook. There will be check in on Friday February 16th at the Jacoby Storehouse in Arcata where players can check in and pick up player pack. Par Infinity is responsible for all refunds/cancelations.